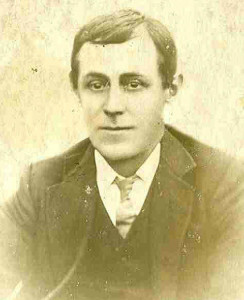 Alfred Charles Millward was born in 1876, the eldest of six children born to Alfred J and Mary A Millward. 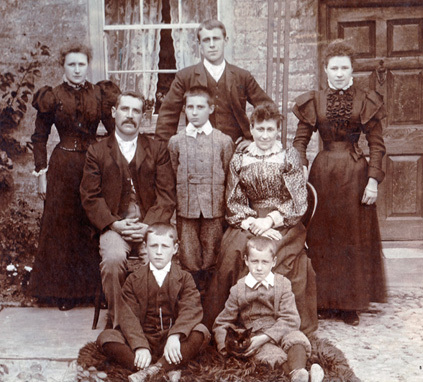 The photograph of the family outside their house in East Street was taken around 1897. The rear of the house faces North in the direction of the ‘nursery’ or football field. Alfred, like his father and most men in Olney at that time, were employed in the shoe industry. His hobbies are not recorded but it is well known that the Millward family were and are active participants and supporters of Olney Rugby Club. Alfred married Lizzie (Eliza) Wooding in 1878 and had five children, Nellie born 1899, George born 1901, Elsie born 1905, Kate born 1908 and Frank 1914. Apparently, Alfred never saw his youngest son Frank. Alfred enlisted at Bedford and joined the 8th Battallion Bedfordshire Regiment as Private 20339. September 15th 1916 saw the beginning of the third phase of the Battle of the Somme in Northern France. The 8th Battalion were part of the 16th Brigade. According to the publication ‘British Campaign in France and Flanders 1916’ by Arthur Conan Doyle, the Brigade moved off at 6.20am on the morning of the 15th September 1916 from Leuze Wood towards the area known as the Quadrilateral towards the German Line, but were stopped by ferocious gun fire and wire. lt would appear that Alfred Charles Millward (my grandfather) was killed somewhere in that small area. 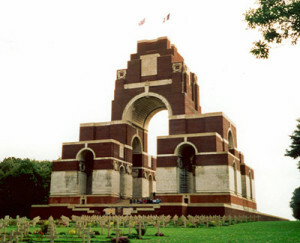 His name appears on the memorial at Thiepval on Pier and Face 2 C.
According to the family, Alfred’s widow Lizzie suffered a nervous breakdown soon after Alfred was killed in action. In those days there was very little support available from the State. Later, she did apply in November 1932 and was offered one of the Feoffee houses in Dartmouth Road (No. 3). 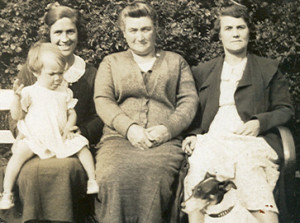 She lived there happily with her daughter Elsie’s family until she died in 1956. A couple of the passions of Alfred Charles’s family were rugby union and animals (particularly dogs), as illustrated in the photographs. Then click the ‘Search for person(s)’ link to check out the other members of the Millward family named in this Cameo.